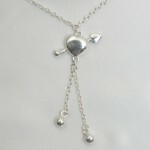 Cupid's Arrow Through The Heart waist chain is an exquisite piece of jewelry. 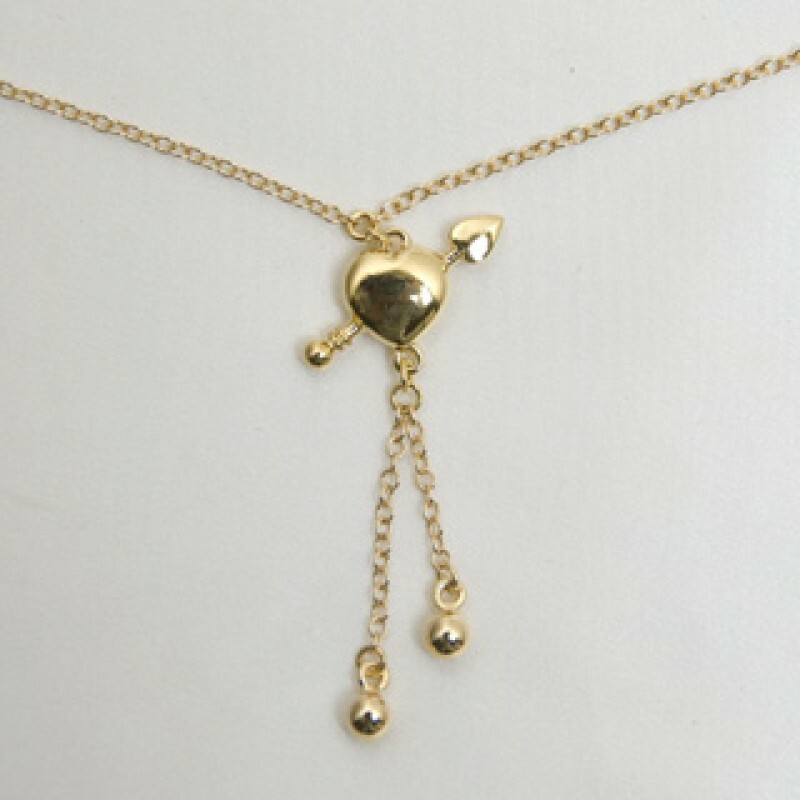 The cast and heavy, 18k gold plated or sterling silver waist chain features a heart charm with heart tipped arrow shot through the center, and two dangling jewelry chains with round pendants suspended from it, worn on your backside. 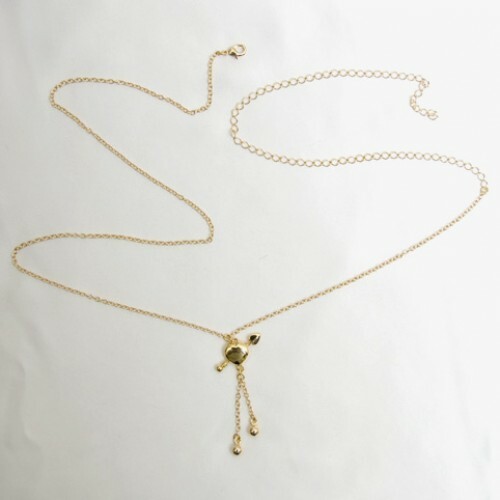 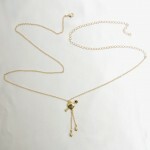 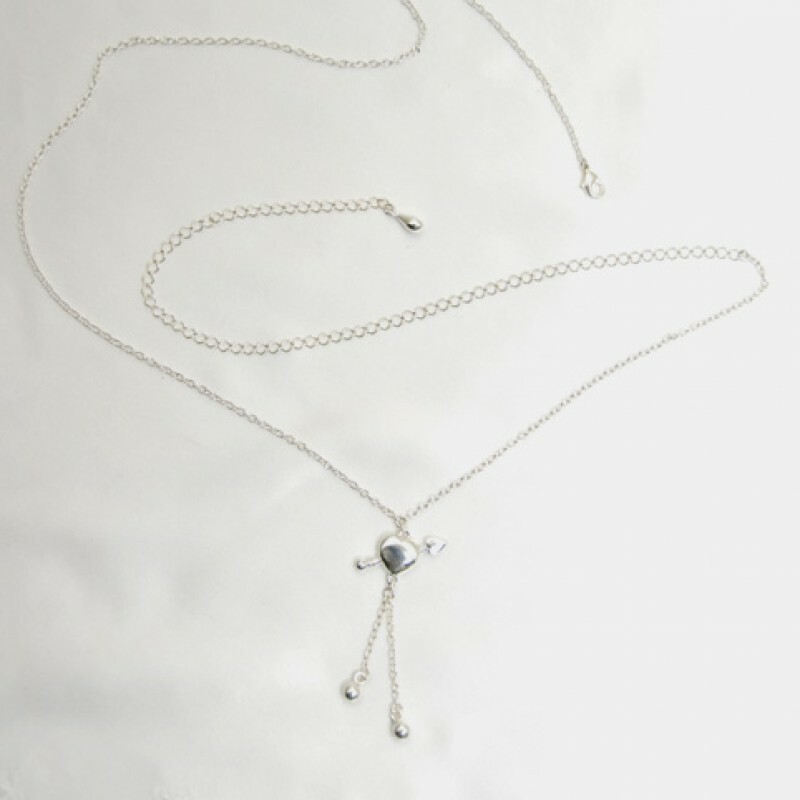 This arrow through the heart waist chain is certain to draw attention this summer. Cupid's waist chain makes the perfect accessory to your favorite beachwear or under your evening outfit, or without anything at all. 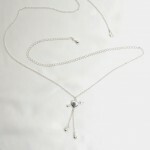 The waist chain has a lobster clasp which rests on the side of your hip and can be easily adjusted to fit most sizes. 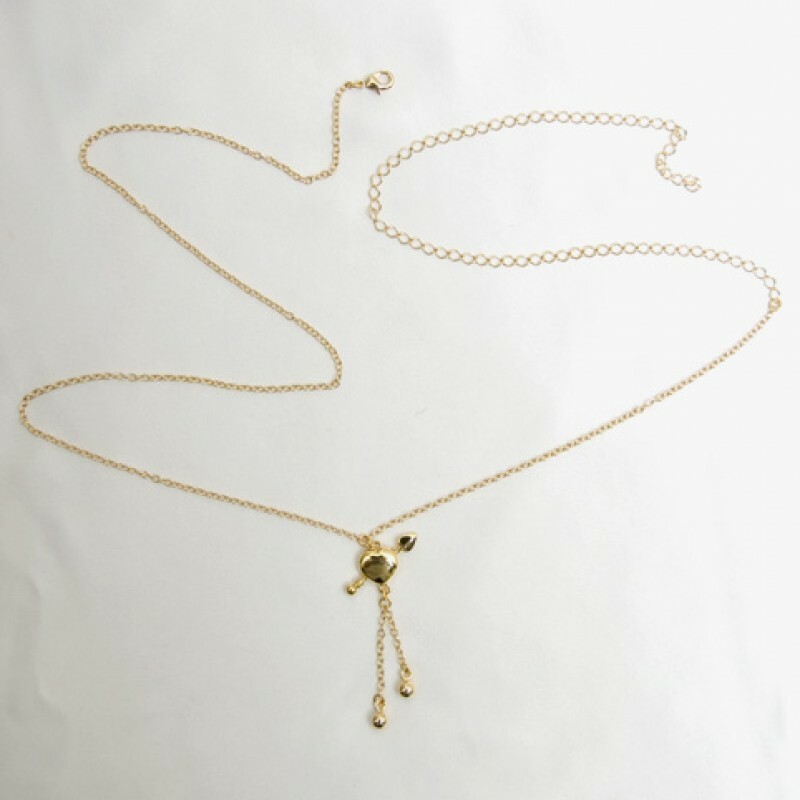 This Cupid's Arrow through the Heart waist chain is a work of fine art, crafted by renowned Parisian artist, Sylvie Monthule handmade in France, with highest quality materials.